So, the way I see it, you have three choices: Get to the Halloween stores ASAP and pay premium prices so your kid can be one of 300 Captain Marvels on the block. Wait until the Halloween aisles empty out and all that’s left are generic costume pieces like monster makeup, crowns, and wings, and convince your child that Prince or Princess FrankenFairy is totally awesome and not a shonky costume made entirely of leftovers. 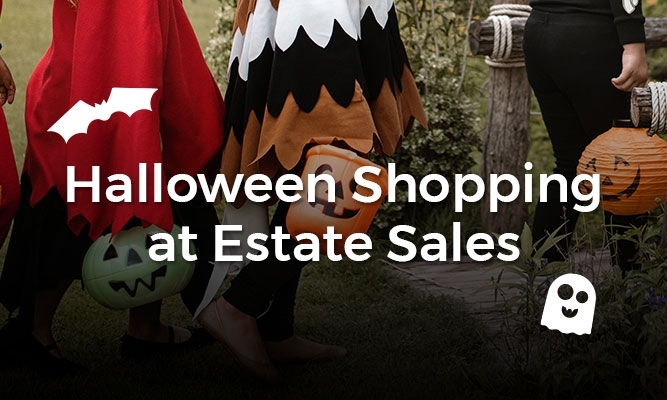 Find a one-of-a-kind costume that suits all your needs at your local estate sales and auctions (recommended). But what oh what will your costume be? 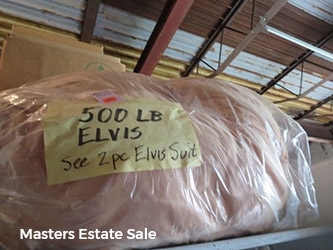 When it comes to shopping at estate sales, there are a few ways it can go. 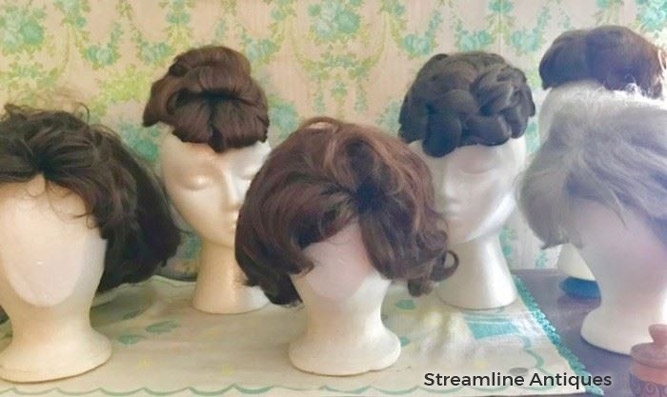 Estate sales frequently feature artifacts of the homeowner’s past life. A retired doctor or nurse, for example, may have held onto stethoscopes or otoscopes from their time in practice. (Or maybe their uniforms, like the one pictured above.) A scientist could have lab coats and safety glasses. 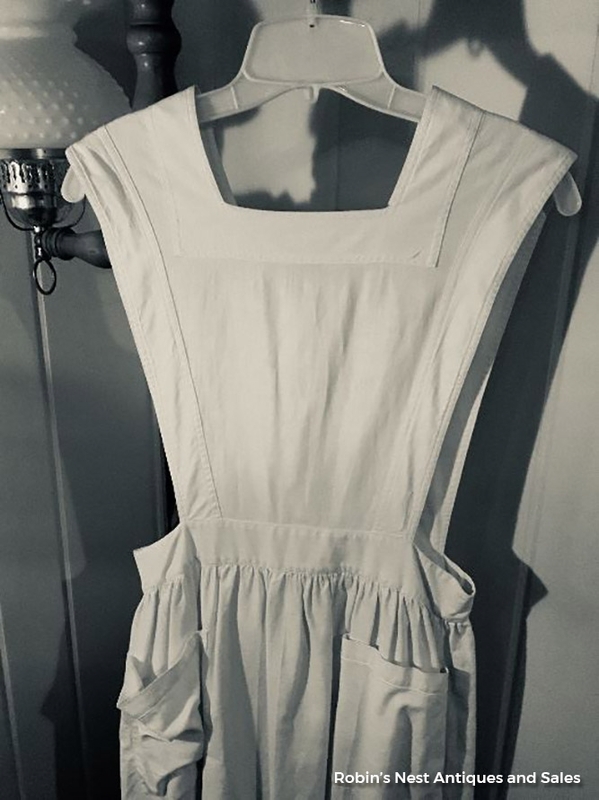 Little details like this can add a hint of realism to a costume, and make a great conversation piece, whether your child wants to be a butcher, a baker, or a candlestick maker. Any number of official work uniforms can be found—police officers, clowns, scouts, and soldiers, among others. At a recent sale, we purchased an official Coca-Cola uniform. It’s too small for anyone here to wear, but one day our children will be just the right size, and one of them will get bribed into putting it on. And we take pictures and we will save them for their teenage years, when we will show them to every date they bring home, because we are all good parents. 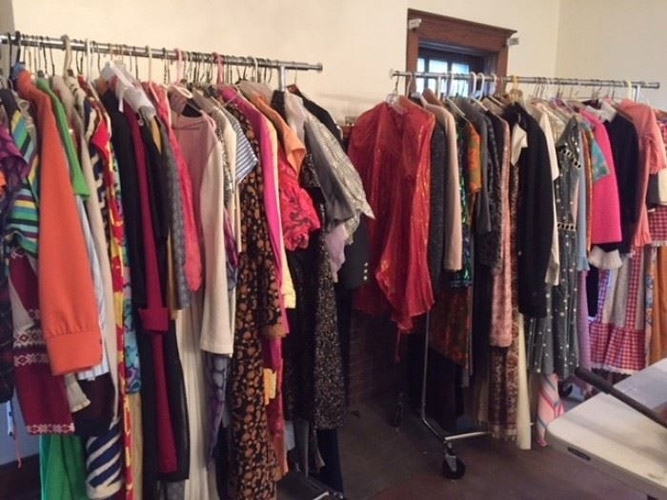 If you want to be a convincing hippie or a believable sock-hopper, your best bet is to find a fashion-focused estate sale. Relics from what now feel like simpler times can often be found hidden in cedar chests and in the back of closets, from saddle shoes to Doc Martens. 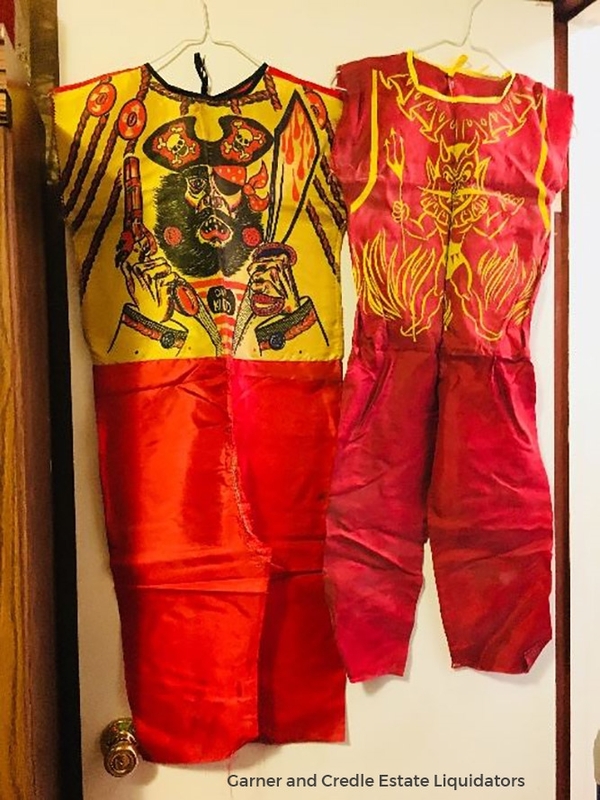 And while your local costume shop may have a passable pair of bell-bottoms, they likely won’t last beyond a night or two. 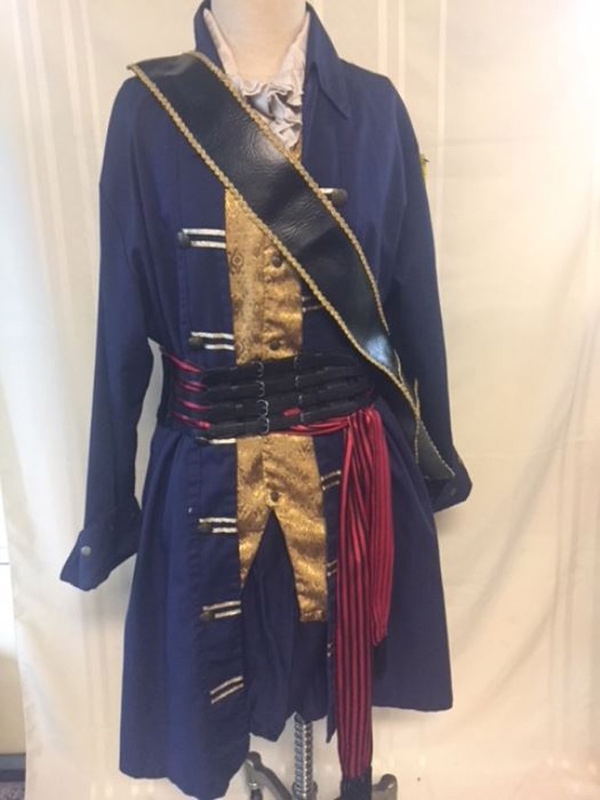 The authentic clothing you find at tag sales were made for everyday wear, and can likely be tucked away for the next theme party that will inevitably happen, because who doesn’t like a good theme party? And when that happens, you’ll be the most convincing valley girl there, like, ever was, for sure. One of the best sales I ever attended involved most of the contents of a local university’s theater department. 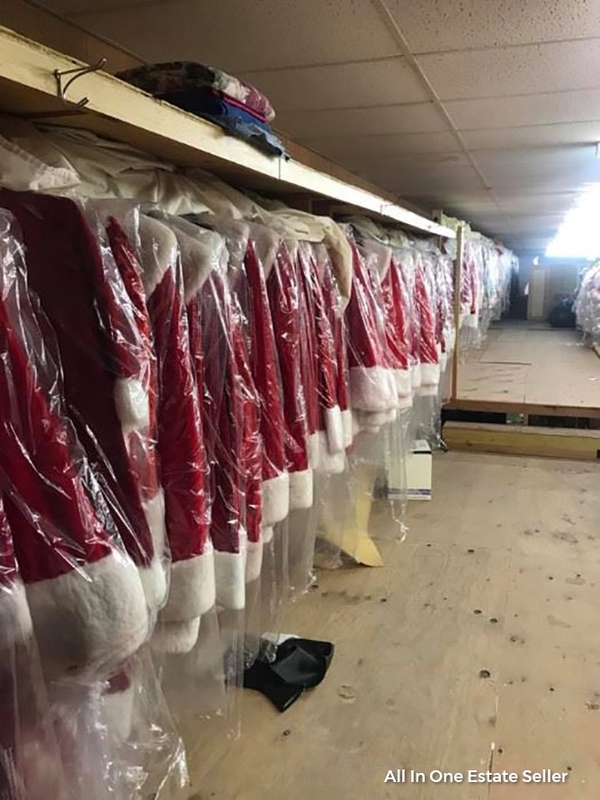 It was filled with props and costumes that had served their purpose and were unlikely to be needed again. If you’re lucky, maybe you’ll find a theater sale near you, making it inexpensive and easy to be Romeo, Juliet, a Jet, a Shark, or Mister Mistoffelees At my sale, I didn’t end up buying any costumes, but I did buy a 6-foot-long foam banana. I still don’t know what play it was from, but at least I know I’m now living my best life. Costumes aren’t only for Halloween. And when you’re faced with an array of hand-painted Mardi Gras masks, or a well-loved but high-quality high school mascot costume, do you turn your nose on it and walk along? Heck no! You buy them and wear them proudly, on Halloween, Fat Tuesday...Arbor Day...Groundhog Day... Grandparents Day... Boxing Day…. Because to paraphrase a certain holiday carol, you should keep Halloween with you all through the year. And it’s certainly more affordable and exciting to do that when you harness the power of estate sales.